George C. Marshall: He won the war. He won the peace. Learn about the man known as World War II's "Organizer of Victory," and Nobel Peace Prize winner for the Marshall Plan. Marshall is the Virginia Military Institute's most famous graduate (Class of 1901) and its only five-star general. The independent, non-profit George C. Marshall Foundation preserves and perpetuates Marshall's legacy through the George C. Marshall Museum & Library and offers a wide range of programming and resources for use by the general public, amateur historians, scholars and students of all ages. We are located on the Parade Ground at VMI. A captured German Enigma machine is on display at the Marshall Museum. 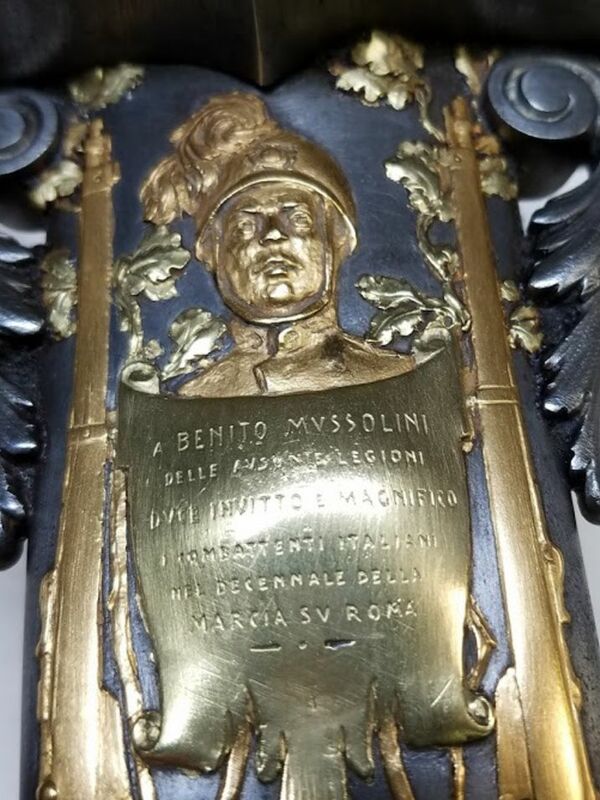 A massive steel and gold broadsword that once belonged to Italian Fascist Dictator Benito Mussolini. 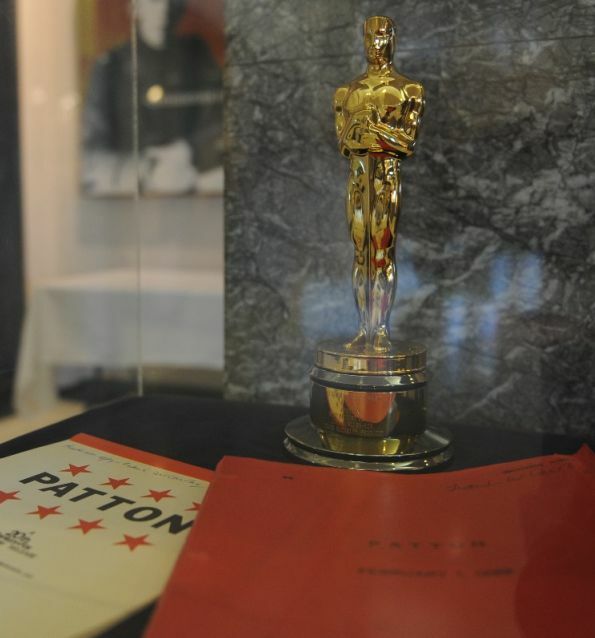 The biographical war film "Patton" won Best Picture for 1970. Find out why we have it! George C. Marshall won the Nobel for the Marshall Plan, which helped Western Europe recover after WWII. 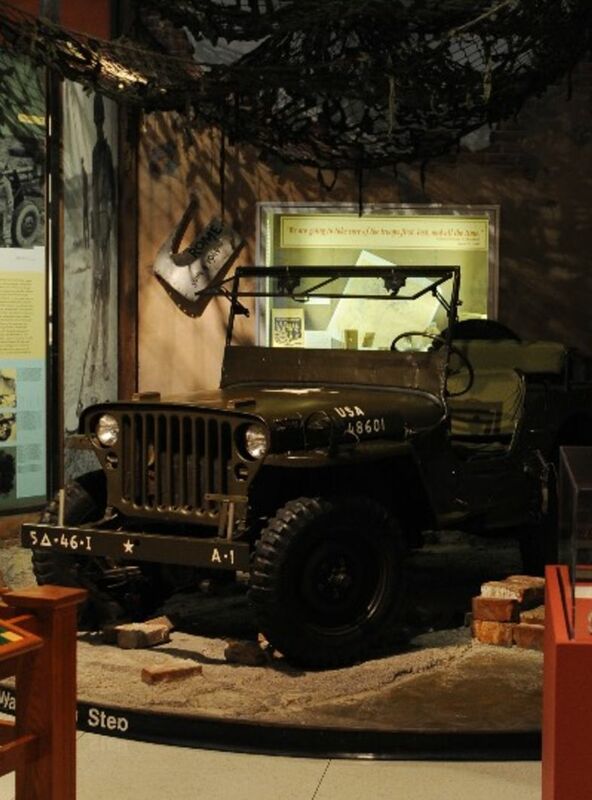 George C. Marshall is known as the "Father of the Jeep" because he approved their testing and production.